John William Waterhouse was born in the mid-19th century, at a time when the Industrial Revolution was in full swing and poverty was rife within the poorer communities of his native country of England. In the art world, many professionals were rebelling against the pure and realistic lines of the Neoclassical period to have come before them. They started to produce paintings and sculpture which took the viewer into a new world, far removed from the realities of everyday life. Waterhouse lead a relatively quiet life, one without any evidence of major drama or upset, and instead created beautiful works of art which illustrated tales of love and tragedy. Waterhouse was born into a family of artists in Rome, 1849. His father William moved the family back to England in 1850. Often helping in his father's studio, Waterhouse gained skills as an artist at a young age and entered the Royal Academy Schools in 1870.
was bought by Sir Henry Tate in 1886. The artist also travelled extensively through Europe during this period, drawing inspiration for his paintings there. Waterhouse moved to the St. John's Wood area of London in 1901 and started to teach at the St. John's Wood School around this time. He was also a member of the art club in the area, along with several other important artists of the period. 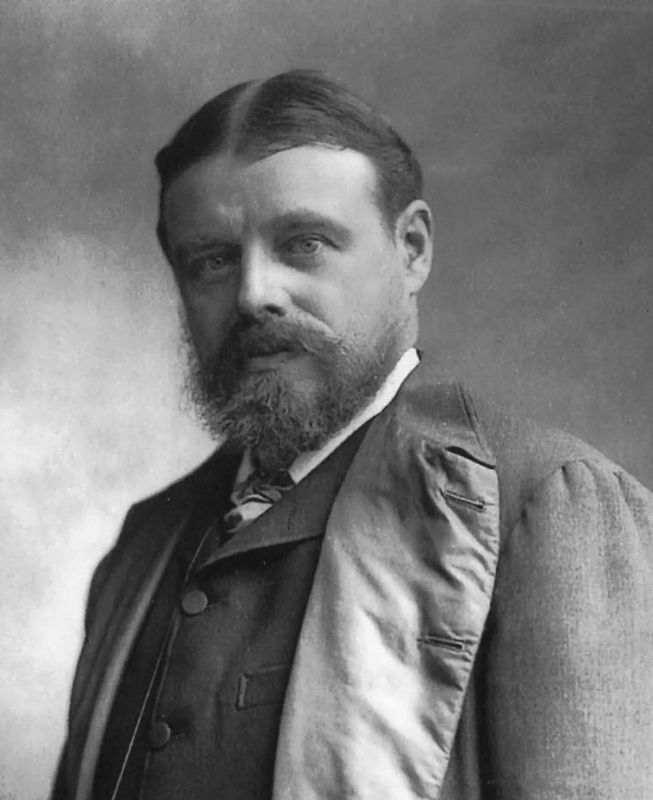 After several years of increasing frailty, Waterhouse died of cancer in 1917 at the age of 68. John William Waterhouse took inspiration from both the Pre-Raphaelite and Classical painters and his work is extremely distinguishable from other artists of the Romantic era. The artist used a range of artistic techniques to create both beauty and realism in his works. Producing work mainly in oils, his canvases consist of realistic and natural settings. The artist's fascination with beautiful heroines and the femme fatale is unquestionable and he portrays theme using symbolism, vivid color schemes, and beautiful light. John William Waterhouse was influenced by many of the great artists to have come before him, mainly artists from the Renaissance and Classical schools who shared Waterhouse's love of color and realist composition. The Pre-Raphaelite movement, of which Waterhouse lived through the end of, is also evident in many of his paintings, especially the Pre-Raphaelite artist's use of vibrant colors and female muses. Most of Waterhouse's work is based in Ancient or Medieval myth and legend. Such stories feature the strong female beauties and tragic love stories which Waterhouse was seemingly fascinated by. Waterhouse is often thought of as a Pre-Raphaelite artist himself and although his style is more classical, the themes of his work often reflect some of the same ideas and themes of paintings by the Pre-Raphaelite Brotherhood. The use of strong female figures is certainly key, as is the use of ancient tales and legends which runs through Pre-Raphaelite work. 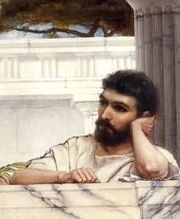 The classical style used by Waterhouse can be seen in the realism in which his paintings encompass. The figures are also reminiscent of classical art, often wearing drapery and their hair pinned back in a classical style. One of the pivotal artists of the Classical movement, Leighton produced paintings which incorporated a great deal of detail and color. 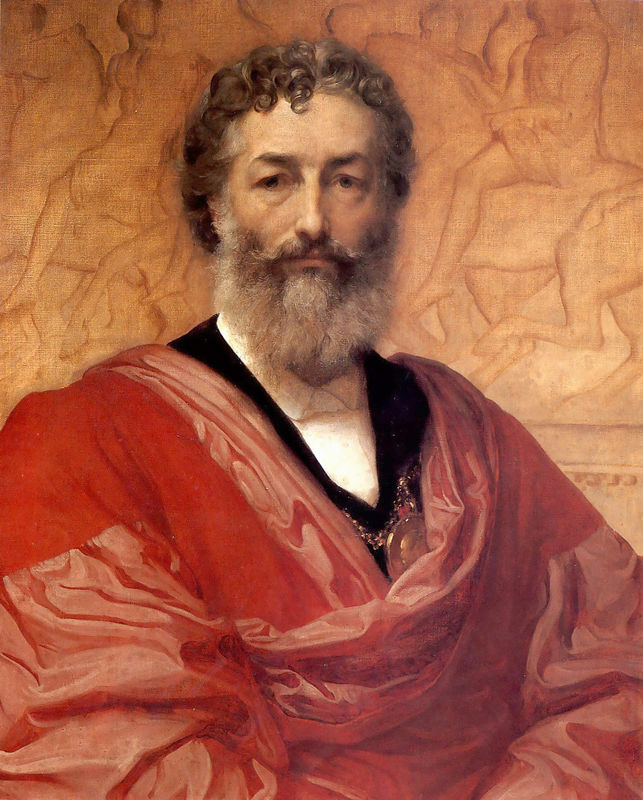 One of Waterhouse's early influences, Leighton studied across Europe making his work a mix of Renaissance and Classical styles. Although there are obvious similarities in the two artists work, Leighton's have been described as having an 'academic and frigid' style. 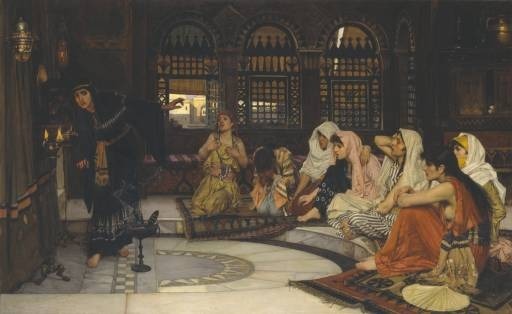 Another influence of the style of John William Waterhouse, Alma-Tadema was Dutch but another important figure in the classical movement in England. As the comparison of Alma-Tadema's 'The Favorite Poet' and Waterhouse's 'Ariadne' show, the two artists use similar classical composition. The beautiful women in Alma-Tadema's work are almost too perfect though, rendering them uninteresting in the eyes of some critics. As one of the first classical artists of the 19th century Waterhouse was highly influential on some of the young artists of the time. His use of Pre-Raphaelite themes and color schemes and classical composition was popular in his time and his great skill as an artist made him a highly desirable teacher. Dicksee was based in London at the same time as Waterhouse and the two painters used similar themes and ideas within their works. Dicksee was particularly interested in painting historical or legendry scenes. 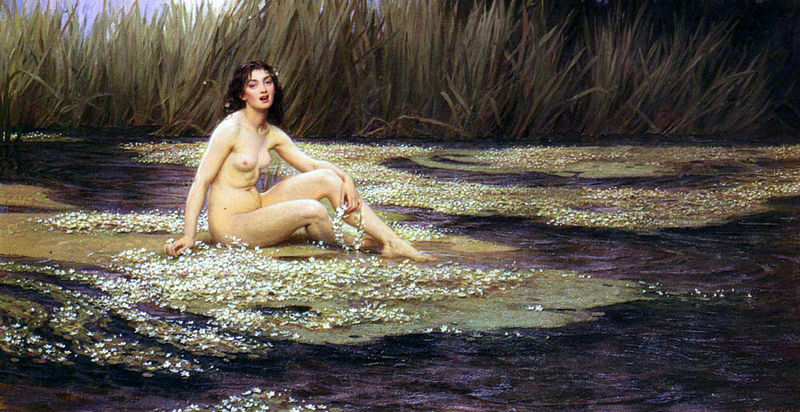 Hacker uses similar forms and color schemes in his work to Waterhouse. An artist from the same generation, Hacker was from the classical school and created several paintings focusing on women. Although almost unknown today, Draper was commonly known as one of the best painters of nudes in the latter half of the 19th century. The artist produced a body of work which uses similar historic and biblical themes to Waterhouse. Waterhouse was a very prolific and successful artist of his time. Admired by the public and his peers alike, he produced over 200 paintings. 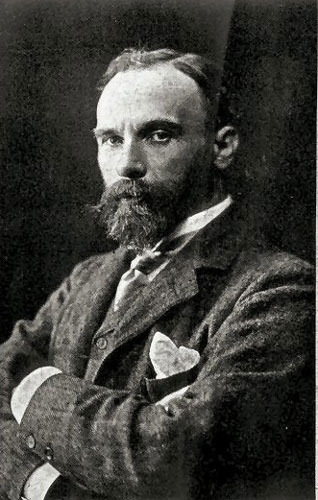 A regular exhibitor at the Royal Academy and the newly-established Tate Gallery Waterhouse was the embodiment of the successful Victorian artist. Unfortunately, the dreamy and romantic style which his work embodied fell out of fashion in the 20th century and Waterhouse did not receive as much attention following his death. However, today his work is becoming popular once again and can be seen in many art galleries around the world. Waterhouse first made his name when Consulting the Oracle was bought by Sir Henry Tate in 1884. Tate was to become one of the most prolific and well-known collectors of contemporary art in Victorian Britain, and his legacy continues to grow today. This endorsement by such a high profile patron can only have boosted Waterhouse's reputation. Waterhouse's skill as an artist was admired by his peers and patrons alike, while his subject matter attracted the attention of the general public. 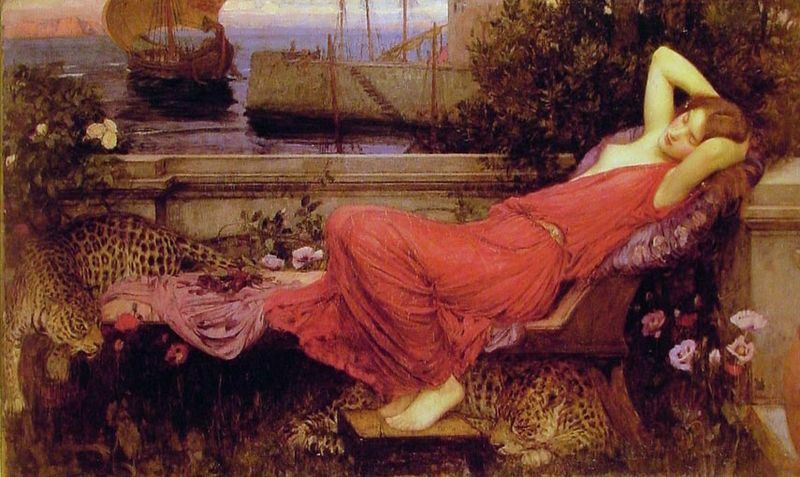 The Romantic style went out of fashion in the 20th century, as did John William Waterhouse's popularity. The beautiful women that encapsulated artists of the 19th century were replaced by the new types of art such as Impressionism and later, Surrealism. Beauty, although still important in the art world, was evolving and in many ways the realism in Waterhouse's work was no longer relevant. In fact, the Tate gallery itself relegated the work of Romantic artists to a small basement room. Paintings by the likes of Waterhouse, Alma- Tadema and Godward could be bought for virtually nothing. "(Among) the painters of the late Victorian and Edwardian periods, it was Waterhouse who made the greatest contribution to the classical movement. In his work the classicism of Leighton and the aestheticism of Burne-Jones are fused, to produce a highly individual and romantic style. " 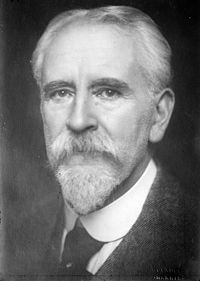 To find out more about Waterhouse and his famous works there are a range of recommended books listed below.